Between Phuket and Krabi is Koh Yao Noi, Thailand. The name means “Small Long Island,” and it remains relatively untouched by tourists. This island is known for its beautiful beaches, high end villa and abundance of outdoor activities for the adventurous. It is easy to get overwhelmed by all the things to do and see. Here are the top 12 things to do on Koh Yao Noi, Thailand! The beautiful island of Koh Yao Noi is home to amazing rock climbing opportunities for the adventurous! The island cliffs are located off the beaten path, and climbers will need to hike or motorbike through steep mountains in order to reach the cliff approach locations. Climbing Koh Yao Noi is an unforgettable experience! Advanced rock climbers will be challenged by these difficult, yet beautiful climbs offered on Koh Yao Noi, Thailand. Rice Paddy is the top restaurant on the island and a right of passage for travelers and locals alike. Owned by a German restaurateur, Rice Paddy serves a traditional Thai menu as well as Western classics. Enjoy beautiful natural views as you enjoy a quiet meal in this local favorite. Being on an island has its perks! One of the top things to do in Koh Yao Noi, Thailand is to scuba dive and snorkel in the surrounding waters! Snorkeling in Koh Yao Noi allows you to experience the rich underwater world! Many diving services offer full day and half day tours from Koh Yao Noi daily, and it is sure to be an unforgettable experience. Learn about local sea life and explore the waters of this breathtaking location! In the Ao Kian Bay on the north side of Koh Yao Noi is a well-known big tree after which the bay is named. This big tree is the story of local legend which believes the tree is home to the spirit of a beautiful woman by the name of Nang Da Kian. The story insists that anyone who wants to cut the tree will be putting themselves in danger, so the tree will continue to grow for a long time! At over 100 meters tall, this tree is a great photo spot, and it serves as a reminder of the power of nature. Muay Thai, or Thai boxing, is a popular sport in Thailand. Classes are offered for students of all levels at KYN Muay Thai Gym in Koh Yao Noi. This gym is owned and operated by Thai Champion Hlukhin and is located right on the water. Students can study Muay Thai whether they wish to compete professionally or they just want to get in shape! Koh Yao Noi Village is the central village of the island. It’s small but has all of the necessities including ATM’s, a 7-11, and lots of restaurants. The Koh Yao Noi Village is the perfect place to enjoy a relaxed lunch or shop in one of the market stalls! One of the best ways to spend a day on Koh Yao Noi is on the water boating or kayaking. Whether you explore the island on your own or with a tour, you’re sure to be impressed by the stunning views and great weather! Koh Yao Noi Paradise Sea Kayak hosts daily excursions from the island, and the knowledgeable guides will make sure you see all that this little island has to offer! You don’t need to be a skilled boater or kayaker to appreciate a trip on the water! What better place to practice yoga than on a tranquil, quiet island in the Pacific? Island Yoga allows yoga practicers of all levels to enjoy the solitude and peacefulness in a beautiful, natural setting. Meditation is another popular activity on Koh Yao Noi, and it’s a great way to practice everyday mindfulness. Island Yoga also hosts meditation sessions during their retreats, and it’s a great way to unwind from the business of life. While you’re on the island, don’t miss a chance to visit the JJ Queen Spa for a traditional Thai massage. With affordable packages for all budgets, there’s no excuse to stay stressed while in Koh Yao Noi, Thailand. This small island is perfect for exploring by bike! Adventurous folks can enjoy the tropical plants and wildlife as well as tucked away beaches which are only accessible by foot or bike. Take a day tour with a knowledgeable guide or trek out on your own, you won’t be disappointed! Whether you love cooking or you just want to learn more about Thai food, taking a cooking class is one of the top things to do on Koh Yao Noi! Mina, the host of Mina’s Cooking Classes, invites visitors into her home for daily classes! Together, you combine classic and fresh ingredients to prepare delicious Thai favorites you then can enjoy! Koh Yao Noi might be a small, quiet island, but that doesn’t mean it doesn’t offer exciting nightlife for those looking to have fun late into the morning! The Step One Bar, located next to Je T’aime Restaurant, is self-named the most laid back bar on the island, featuring a quirky bar captain. Another local favorite is the Para Bar which boasts a unique pirate theme. 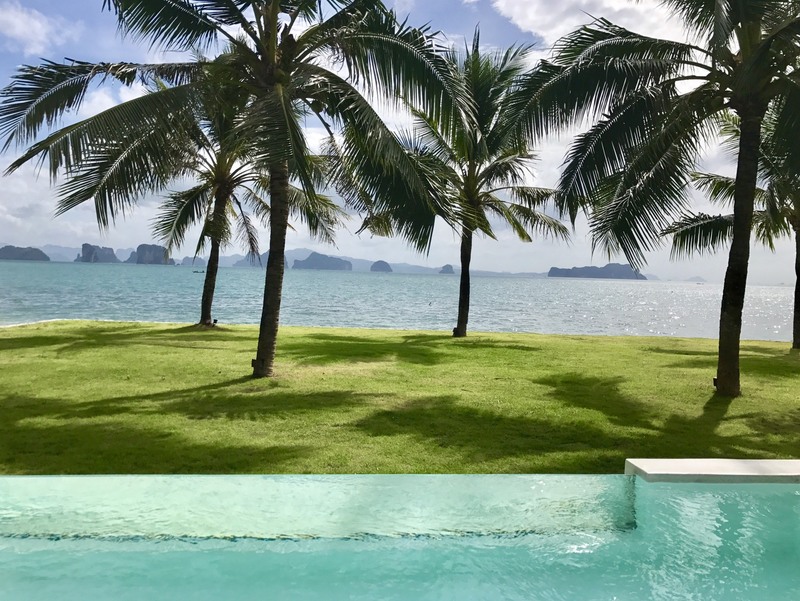 Koh Yao Noi has gained worldwide attention for receiving the World Legacy Award in 2002 for its conservation efforts, and National Geographic magazine has acknowledged the eco-friendly options available on this island. Koh Yao Noi, Thailand is perfect for nature lovers and adventurers who are looking to break free of the rowdiness of the other Thai islands and destinations. Visitors should bring their own cash to the island since banking facilities are nonexistent. Also, it’s important to note this is a Muslim island which adheres to many traditional values. As such, travelers should be considerate of the local culture, and alcohol consumption should be limited to designated resort areas and drinking establishments. Getting to the island can be tricky, and it’s important to research ferries and boat trips in advance to ensure a smooth transportation! Boat trips are only taken during certain hours each day, so plan accordingly if you do not intend to stay overnight. Though the island does not have any specific landmarks, the beauty is undeniable. Koh Yao Noi things to do include exploring the outdoors and enjoying the peacefulness of reflection. Koh Yao Noi is the perfect romantic destination for travelers looking to stray from the beaten path and explore untouched Thailand!